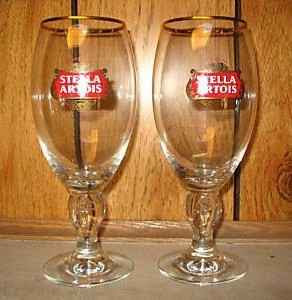 I just saw your ad on Craig's List for the 2 Stella Artois beer goblets for sale for $15 http://toronto.en.craigslist.ca/tor/hsh/1042144088.html . It seemed like a pretty great deal so I looked them up online and it seems like they can be purchased at the local liquor store for $6.95 each, and each comes with a 330 mL bottle of beer. So I guess I need to know your location in the city. If you are closer than the liquor store I will come buy the glasses. So let me know your address.